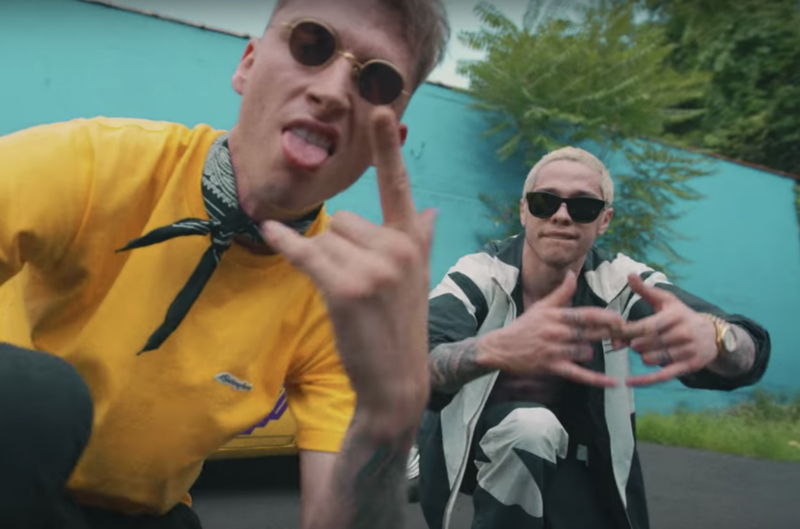 All work and no play makes Machine Gun Kelly and Pete Davidson dull boys, if their recent night out in Syracuse and the resulting music video is any indication. While on location in the upstate city for one the films he's currently shooting, the rapper spent some his time f to film a visual for his latest single, "Loco." Davidson joined him for high-speed shenanigans that involve tearing through the streets Syracuse, hanging out on top some RVs, inking some topical tattoos and making a mess at a diner. Watch Machine Gun Kelly and Pete Davidson get "Loco" below.